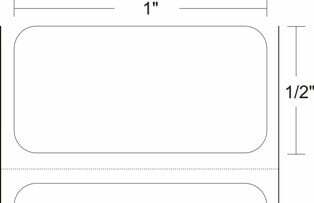 03-02-2067-CASE	 Thermal Label, 1" x 0.5" Direct thermal paper label. 2286 labels/roll. Minimum 3 case order. The CognitiveTPG 03-02-2067-CASE is also known as Cognitive-TPG	COG-03-02-2067CASE	or 03022067CASE	.